Finland's first fab lab offers a free space and resources for community members to explore, create, and share knowledge with others. Originating at MIT, a fab lab is a technology prototyping platform where learning, experimentation, innovation, and invention are encouraged through curiosity, creativity, hands-on making, and most critically, open knowledge sharing. Each fab lab provides a common set of tools (including digital fabrication tools like laser cutters, CNC mills, and 3D printers) and processes, so you can learn how to work in a fab lab anywhere and use those skills at any of the 1,000+ fab labs across the globe. 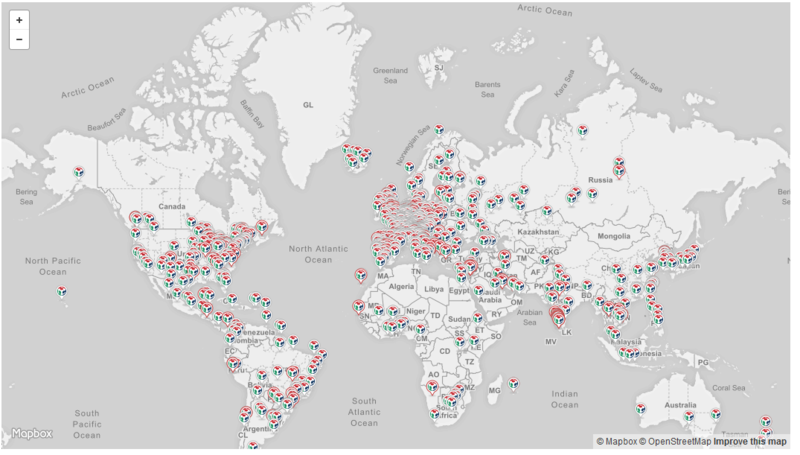 There is probably a fab lab near you. The library, which is now a full learning center, sports a maker space that consists of a VR hub, a visual resources center, a studio, and of course, the Fablab. With the expansion of the Helsinki metro to a new station across the street from the Aalto Fablab, everyone in the region now has easy access to it. The Fab Lab Charter states: “Designs and processes developed in fab labs can be protected and sold however an inventor chooses, but should remain available for individuals to use and learn from.” The “protected” part does not quite meet the requirements set by the Open Source Hardware Association’s definition of open source hardware; however, for those not involved in commercialization of products, the code is available for a wide range of projects created in fab labs (like the FabFi, an open source wireless network). That means fab labs are effectively feeding the open source ecosystem that allows digitally distributed manufacturing of a wide range of products as many designers choose to release their designs with fully free licenses. Even the code to create a fab lab is also openly shared by the U.S. non-profit Fab Foundation. 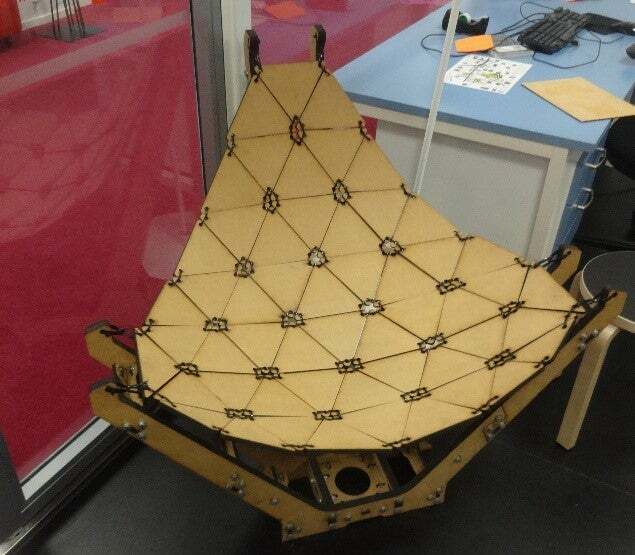 All fab labs are required to provide open access to the community; however, some, like the Aalto Fablab, take that requirement one step further. The Aalto Fablab is free to use, but if you wish to use bulk materials from its stock for your project—for example, to make a new chair—you need to pay for them. You are also expected to respect the philosophy of open knowledge-sharing by helping others, documenting your work, and sharing what you have learned. Specifically, the Aalto Fablab asks that you “pay forward” what you have learned to other users, who may be able to build upon your work and help speed development. All fab labs are required to provide open access to the community. Designers work in the background as a maker collects his prototype from a bank of open source Lulzbot Mini 3D printers. The box in the foreground collects bad prints for recycling, using an open source recyclebot. This approach has proven successful, fostering enormous interest in the local community for making and sharing. For example, the Unseen Art project, an open source platform that allows the visually impaired to enjoy 3D printed art, started in the Aalto Fablab. Fablab members organize local Maker Faire events and work closely with the maker community, local schools, and other organizations. 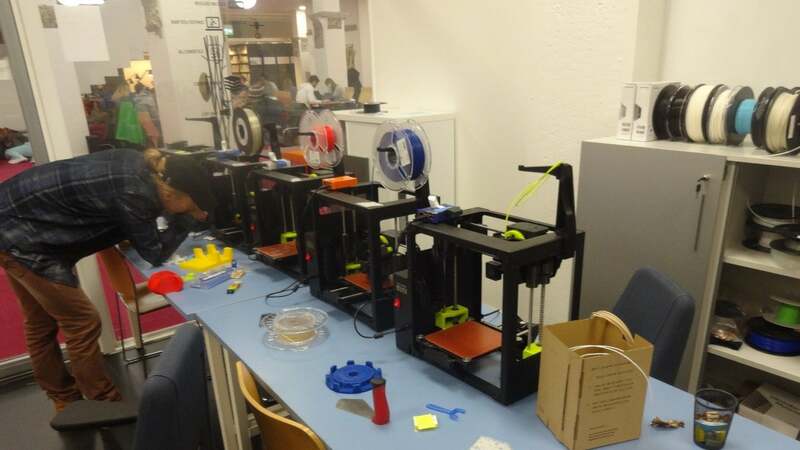 “The Fablab has open days, which are very popular times that people from outside the university get access to the resources, and our students get the exposure to work with people outside the school community,” Embafrash says. In this way, the more they share, the more their university benefits. This article was supported by Fulbright Finland, which is currently sponsoring my research in open source scientific hardware in Finland as the Fulbright-Aalto University Distinguished Chair.